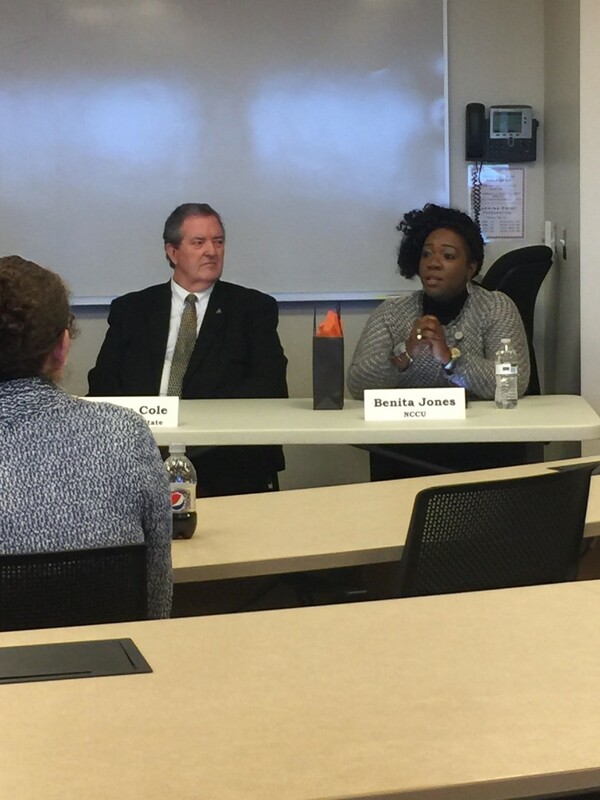 Thank you to the Education Law Section members who recently participated in panels and networking events at North Carolina Central University School of Law and Campbell University Norman Adrian Wiggins School of Law. Section members mingled and shared career advice with future attorneys at a networking lunch at NCCU School of Law following the section council meeting on Feb. 2, 2017. During the lunch, law students had the opportunity to pose questions about pathways to practice in the area of education law to a distinguished panel of attorneys, including: Venus Boston, assistant legal counsel, Winston-Salem State University; John Leidy, attorney, Hornthal, Riley, Ellis & Maland, LLP; Kimberly Potter, special deputy attorney general, N.C. Department of Justice; Hope Tyehimba, general counsel, NCCU; Nicole Wiley, equal opportunity investigator, UNC; and Thomas West, vice president for governmental relations and general counsel, N.C.  Independent Colleges and Universities. 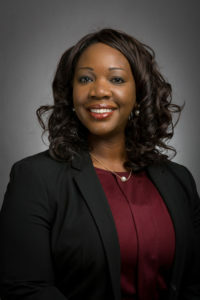 A special thanks to Giovonni Wade, director for career services at NCCU School of Law, for her assistance in coordinating this event. 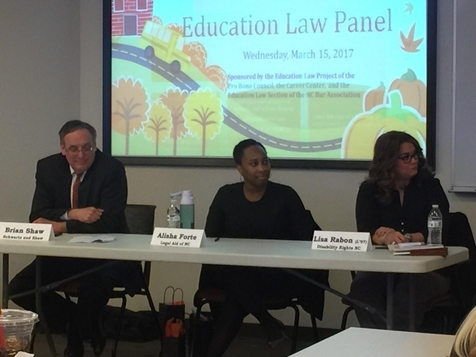 On March 15, 2017, the Education Law Project at Campbell Law School hosted an education law practitioner panel featuring attorneys with a wide range of practice experiences. The section’s law student liaison and third-year law student Keir Morton-Manley moderated the panel with Dayton Cole, general counsel, Appalachian State University; Aisha Forte, staff attorney, Legal Aid of North Carolina; Benita Jones, assistant university legal counsel, NCCU; Lisa Rabon, senior attorney, disability rights; and Brian Shaw, attorney, Schwartz and Shaw PLLC. The students and faculty who attended shared feedback that the panel discussion was very informative, insightful, and timely, particularly as they consider employment after graduation or summer opportunities. Again, thank you to the Section members and attorneys who volunteered their time to these events.